Basegrow is a professional high volume email company focused on email deliverabilty. 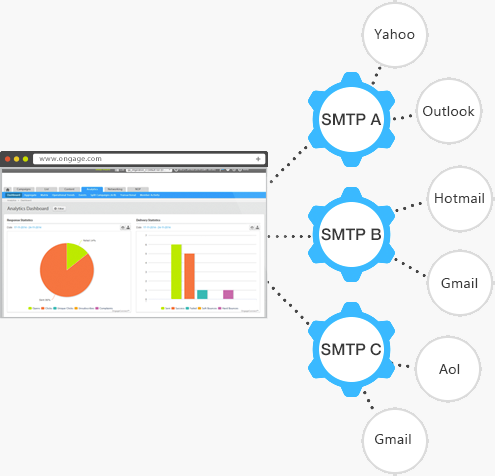 Through their Ongage partnership, SMTP service InboxRoad, professional advice and yearlong email deliverability expertise they are able to boost deliverability rates unlike any other. Coming from a high volume email and list growth background, the Basegrow team has profound experience and gets a kick out of delivering your emails in the best possible way. Basegrow is a member of the Online Trust Alliance. Are you looking for an Basegrow alternative for your email marketing? We listed some Basegrow alternatives. Basegrow is also an email delivery provider. They offer technical deliverability knowledge and InboxRoad mail servers. The InboxRoad cloud-based service for email delivery is easy to set-up without the need for additional hardware or software. Based on PowerMTA technology, emails are quickly delivered in a way that maximizes email delivery. A dedicated team constantly monitors SMTP traffic and deliverability. The mail server infrastructure can solve your delivery issues — quickly and structurally. And is easily connected to Ongage, or other email systems. The InboxRoad team will help you to properly implement deliverability solutions. Basegrow is a premium Ongage partner and reseller. Ongage is the world’s first email marketing platform, that lets marketers connect to multiple outgoing mail servers at the same time, allowing organizations to seamlessly route their emails via multiple vendors from one front-end and maximize your ROI with Micro-Deliverability. Make use of shared-IP pools, Dedicated IPs or a mix. No more vendor lock-in, No contract needed. Basegrows’ experience with email delivery providers enables them to help you choose the best email delivery options. With Ongage you are able to take advantage of multiple mail servers with just one campaign platform. Due to its ability to route mails through multiple mail server providers, such as Amazon SES, SendGrid and InboxRoad (powered by Basegrow) and your own servers as well. You can optimize deliverability to its fullest potential. Having problems, getting blocked or need to clean and update your lists? Basegrow is able to provide you with the best advice to do so quickly and cost-effectively.